Very fine sketch of galaxy NGC4666 made all the more impressive by capturing the near nucleus supernova. You have many beautiful sketches at your website. I like that slide show about the observatories too. 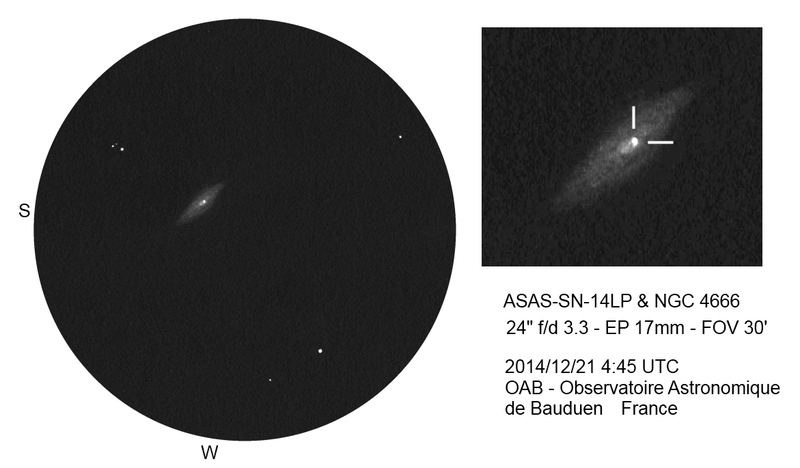 Enjoyed your sketch of SN in NGC 4666. 24″ is a lot of light! Thanks for sharing your view. Thanks for sharing, happy new year and clear skies.